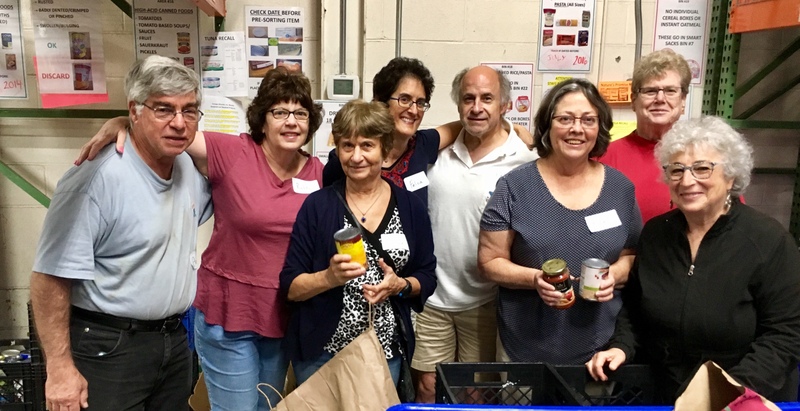 From left, Art Fabel, Robbi Cohen, Tanya Aleksandrova, Felicia Black, Pete Xydas Karen Cohen, Marsha Fabel and Debbie Amster sorted donated foods at Manna Food Center. 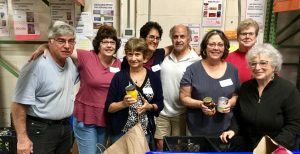 Volunteers from Tikvat Israel have taken a bi-monthly turn at Manna Food Center in Gaithersburg, most recently on Aug. 31. They organized nonperishable food in four large bins, which is the first step in the sorting process at the regional food bank. About 200 households pick up from Manna each weekday. Volunteers also fill backpacks with food to send home with 2,800 elementary school students each week. What is considered “old enough” for Medicare. Married for better or worse but not for lunch. Padding your nest egg by selling pet food on Amazon. The need for dental care for lower-income individuals. Which is healthier – beef jerky or Ramen noodles?